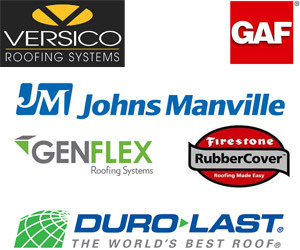 Having established a long history of installing the best quality flat roofing system for our customers across the state of Texas, Culver Roofing Company is committed to providing our clients with the highest quality, energy efficient and lowest cost maintenance commercial flat roof systems that will increase the life of your commercial flat roof. We maintain the knowledge and confidence of our commercial roofing experts through continuous education, training, certifications, and understanding of the latest roofing industry standards and regulations. Culver Commercial Flat Roofing Company strives to provide customers the highest of quality, satisfaction and customer service. We service all types of flat roofs including multiple-ply or built up roofing systems (BUR), single-ply membranes, modified bitumen roofing systems, roll asphalt, seamed metal, liquid or spray-applied, and green roofs. 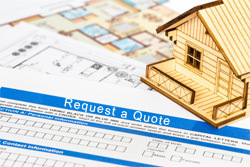 Culver Roofing Company takes pride in our work and the quality of materials we use. This company still considers a handshake a bond of our commitment to building and repairing your roof right….the FIRST time. So if your business needs a new flat roof system, your current roof needs repairing, or you have recently suffered some storm damage, give us a call at 832-671-1357 or fill out the information below, and we will provide you FREE quote immediately!